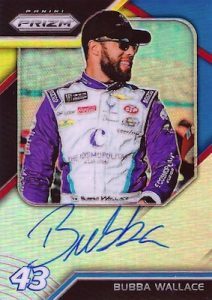 2018 Panini Prizm NASCAR - Racing Card Checklist	Overall rating:	4	out of 5 based on 1	reviews. 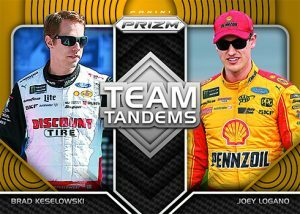 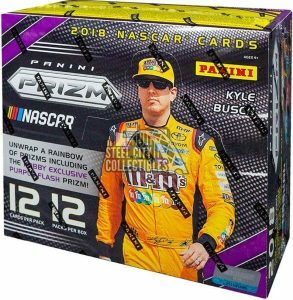 2018 Panini Prizm NASCAR returns to the hobby following a hiatus in 2017. 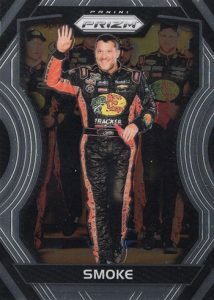 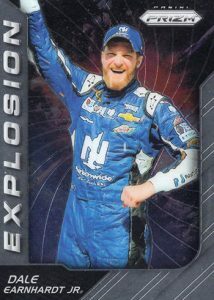 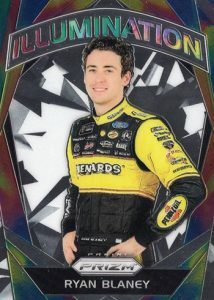 The release offers fans a variety of attractive cards to collect, many with driver autographs included. 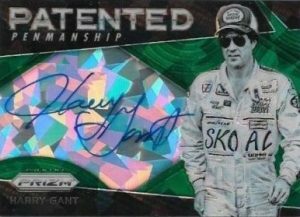 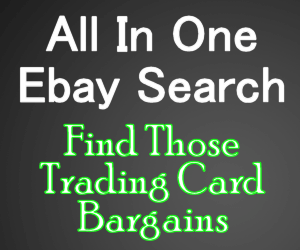 Like most Panini releases the product is heavy on the parallels and chromium technology, and provides plenty for rainbow set builders to chase. 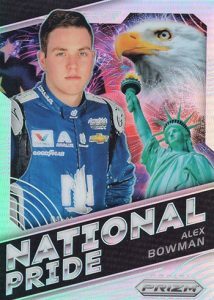 Multiple cards designs and several insert sets means that this is a release that offers something for everyone. 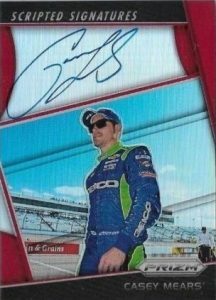 Fans can expect to find 4 autographs per box.